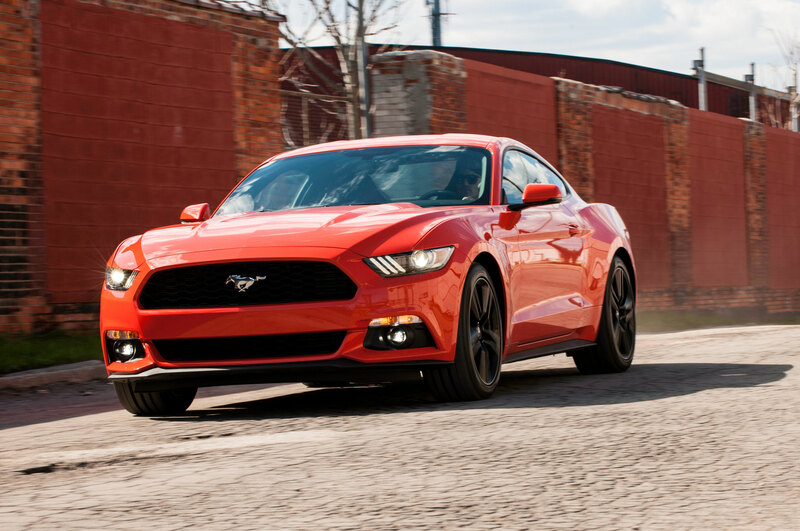 Does this modern Mustang still have muscle? 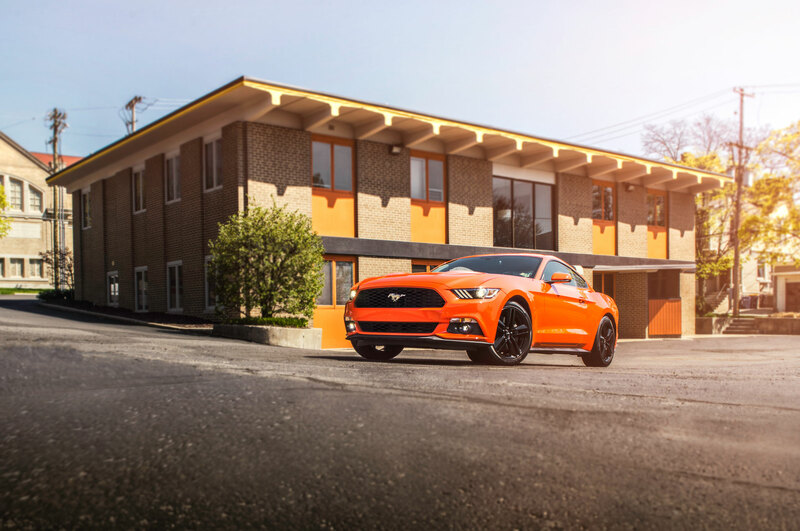 When word first spread through the ranks at AUTOMOBILE that we’d be welcoming a 2015 Ford Mustang into our Four Seasons stable, daydreams of roaring down Woodward Avenue and across Mulholland Drive began to take shape. 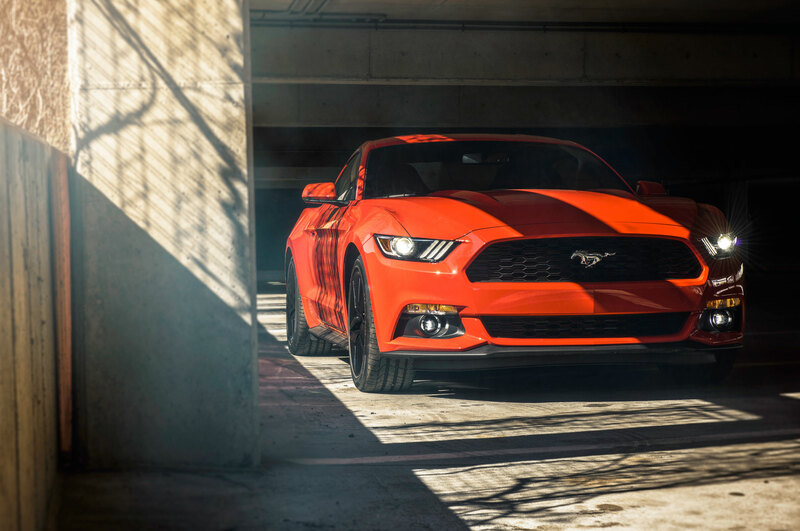 For some of us, “Gone in 60 Seconds” stars Toby Halicki (1974) and for some of us Nicolas Cage (2000), but at one point or another we’ve all fantasized about riding off into the sunset in America’s ponycar. 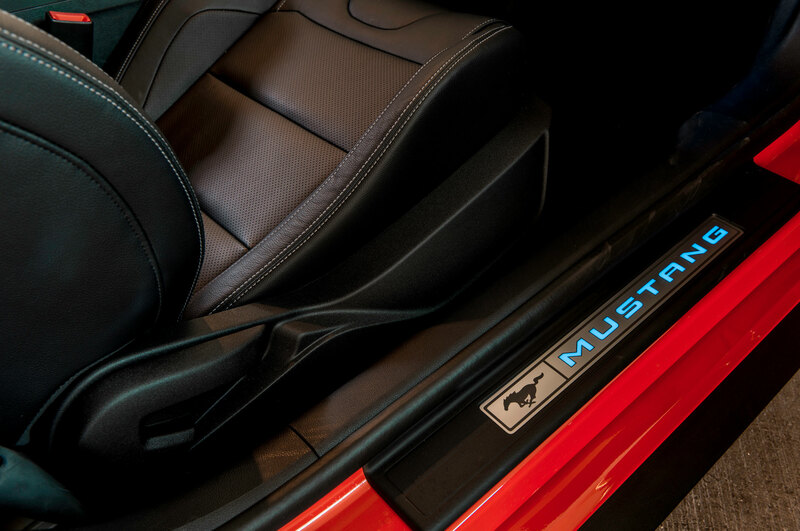 Then, a thunderclap. 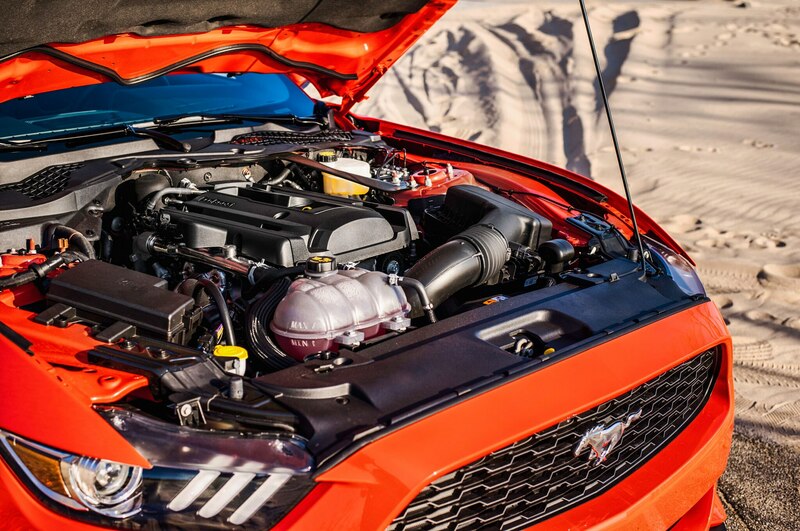 We’ve decided that our fantasy’s soundtrack will not play to the tune of a Coyote V-8. 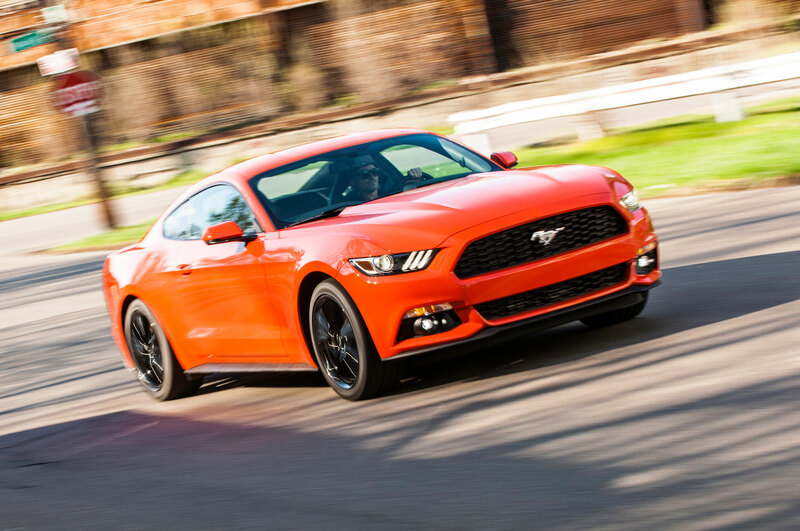 Filling our ears will be the whoosh and whine of the four-cylinder turbo in the 2015 Ford Mustang EcoBoost. 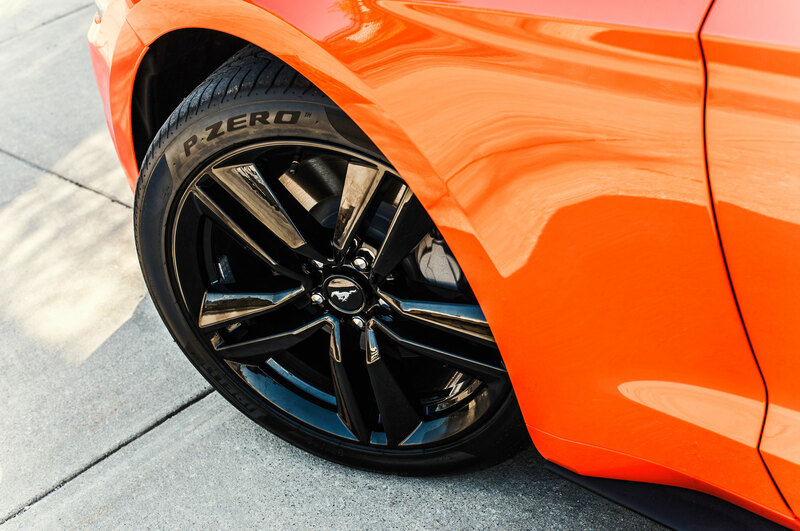 Call us crazy, call us foolish, or maybe even sacrilegious. 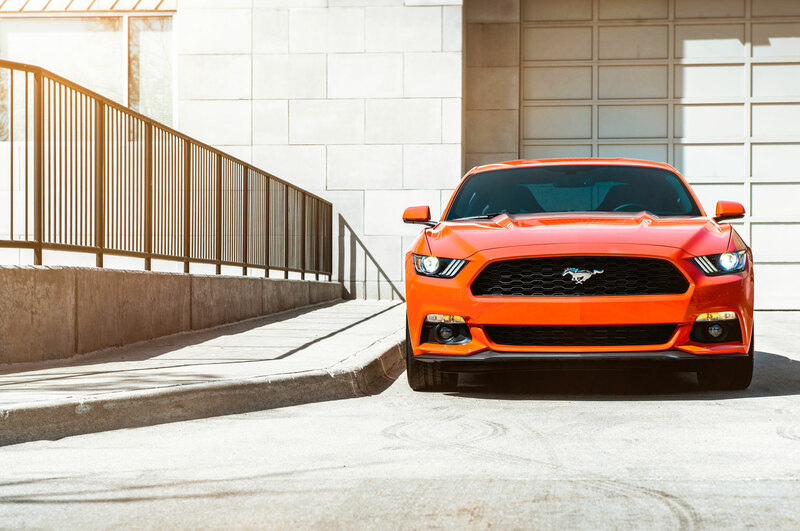 But of all the great improvements to the 2015 Ford Mustang — from its handsomely contemporary sheetmetal to its upgraded interior and (finally) independent rear suspension — the new 2.3-liter EcoBoost turbo-four under the hood remains the biggest question mark. 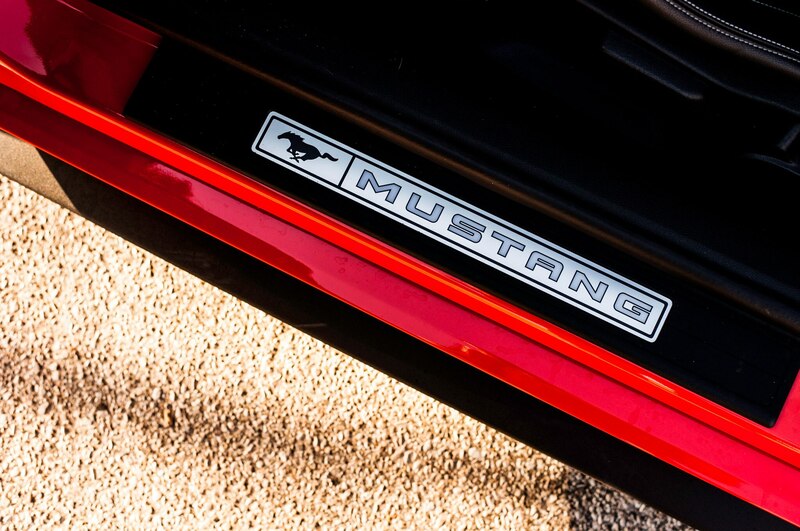 Can the turbocharged four-cylinder Mustang live up to the standards of its nameplate? 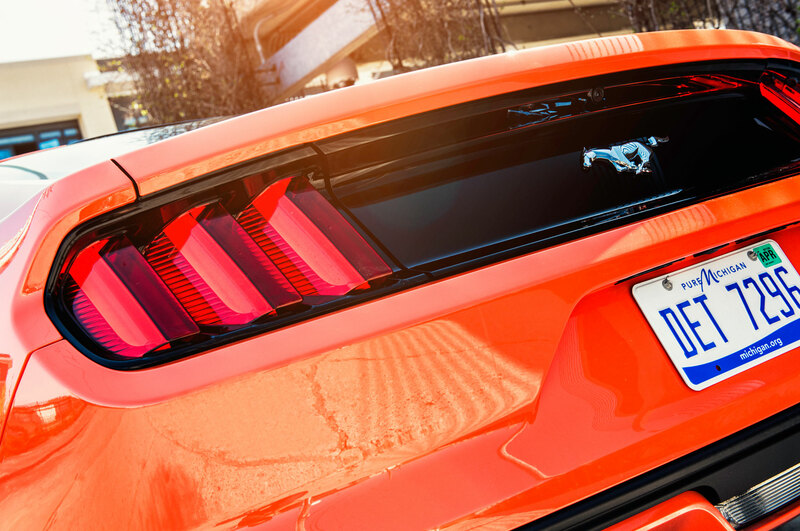 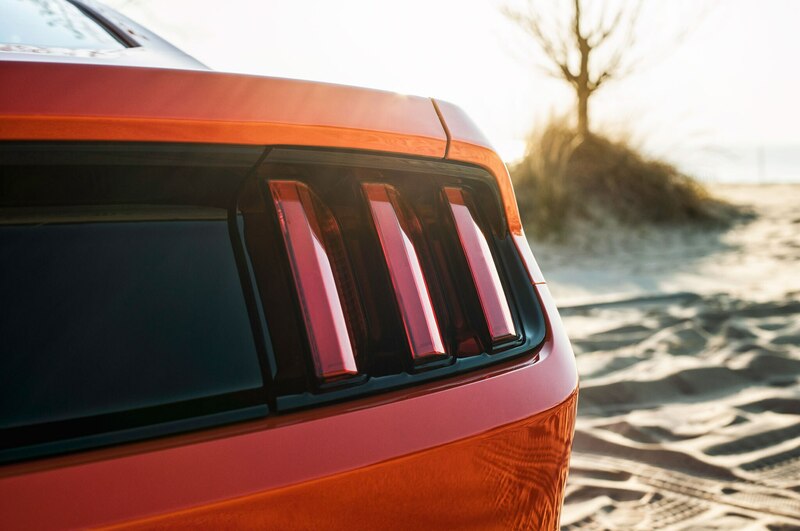 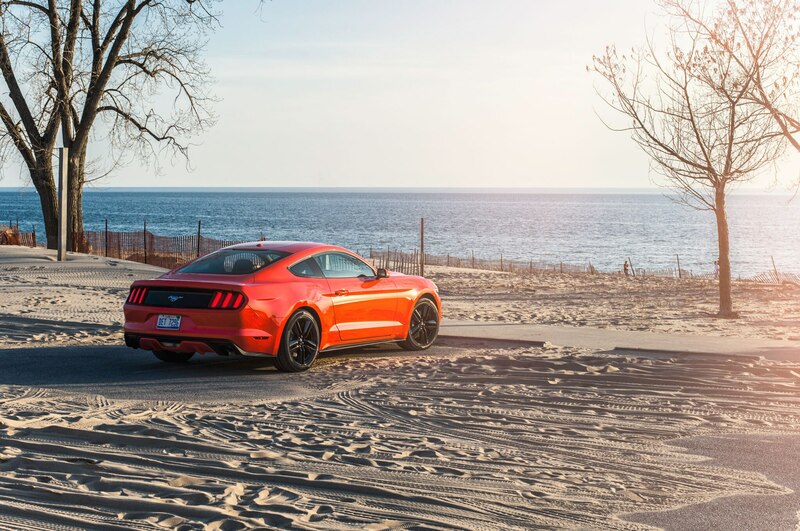 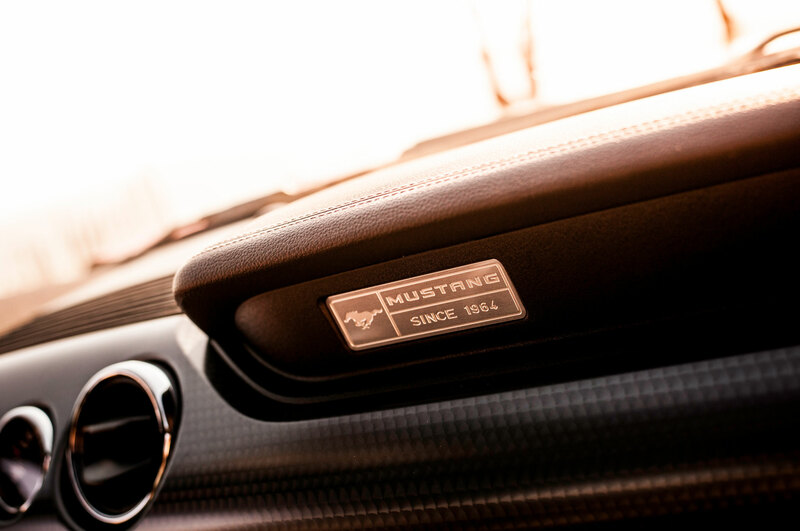 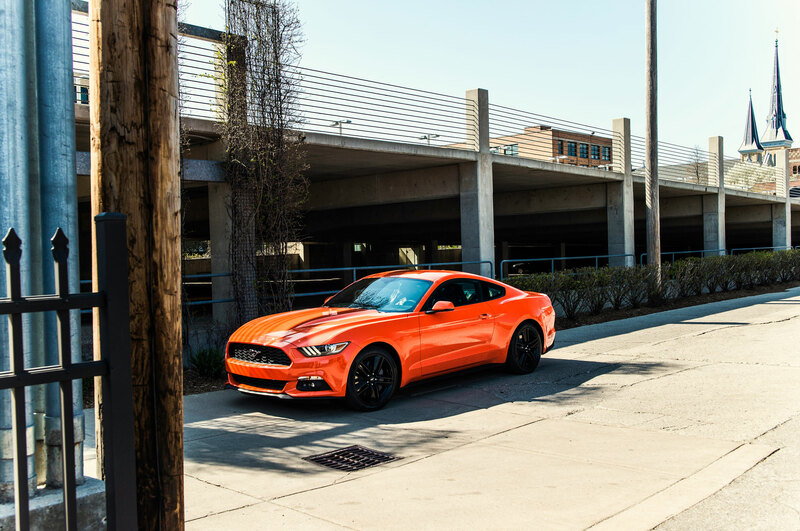 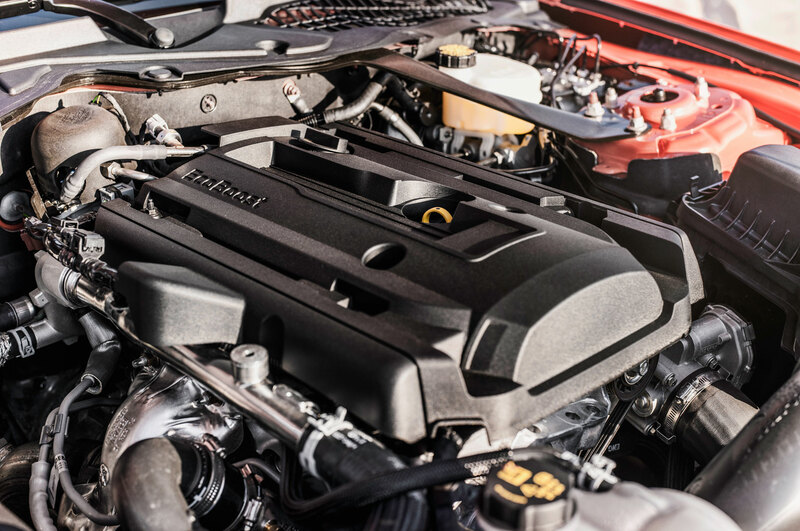 With 310 hp and 320 lb-ft of torque, the Mustang EcoBoost engine represents a leap forward past the base-model car’s V-6 with its 300 hp and 280 lb-ft of torque. 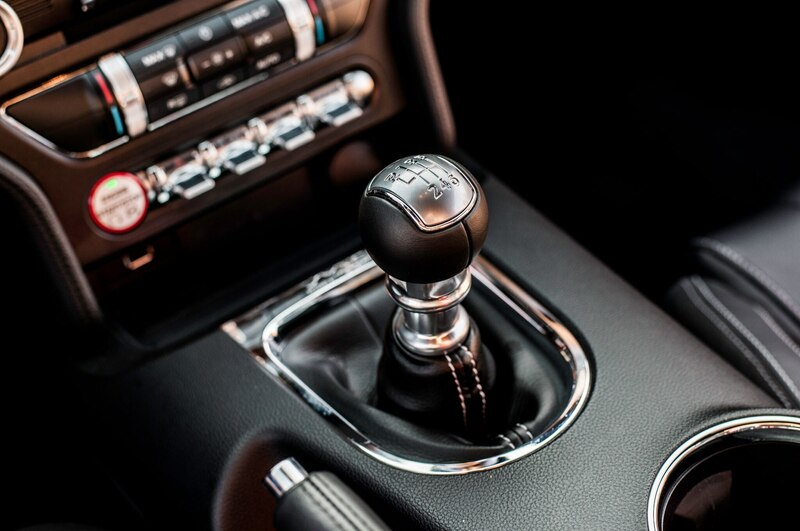 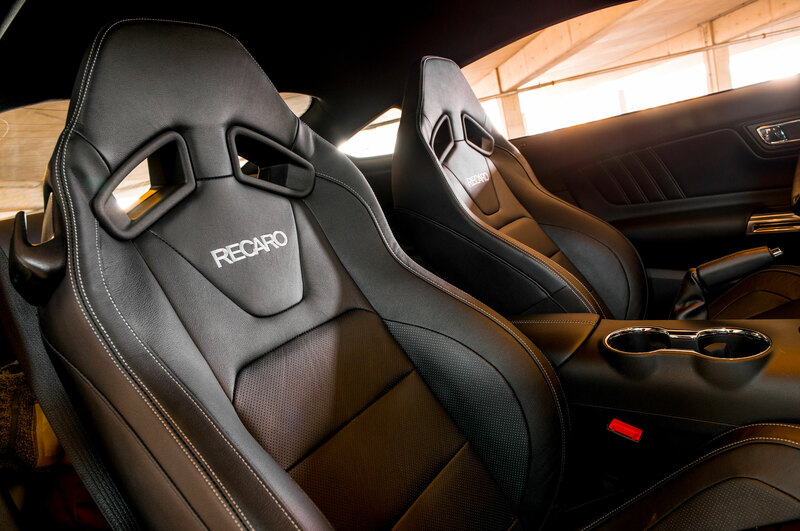 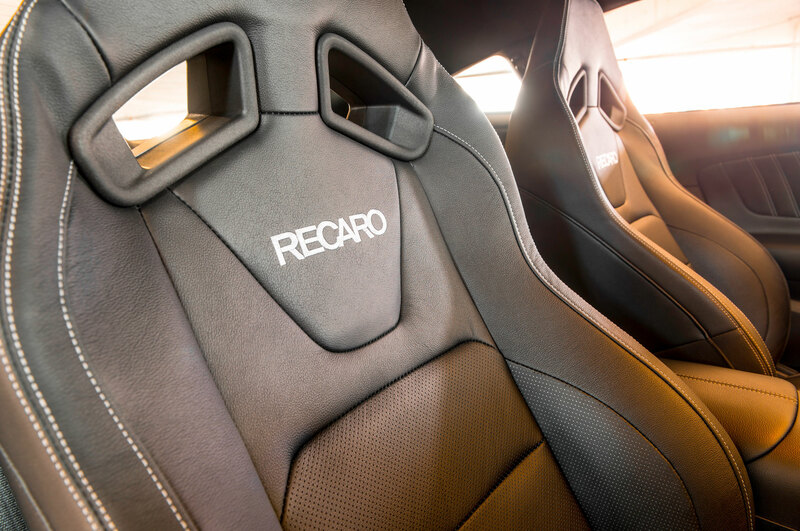 We’ve made sure that we’re going to enjoy the extra performance as much as possible by opting for the six-speed manual transmission, Recaro leather bucket seats ($1,595), and EcoBoost Performance Pack ($1,995). 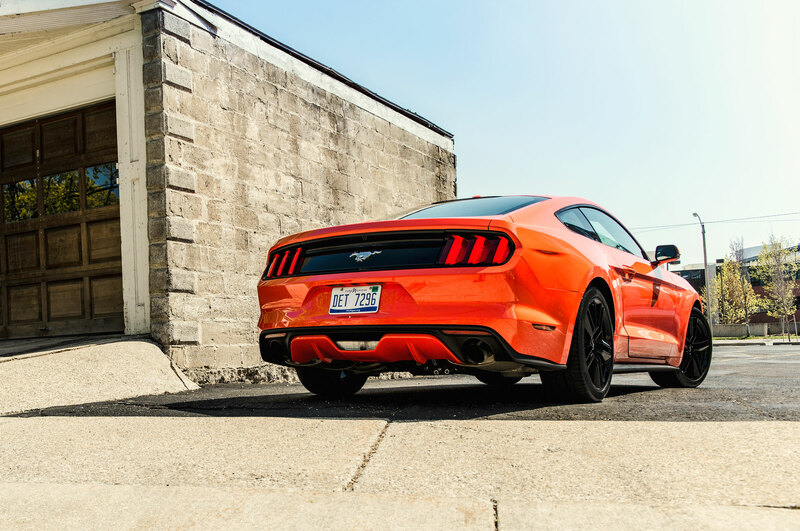 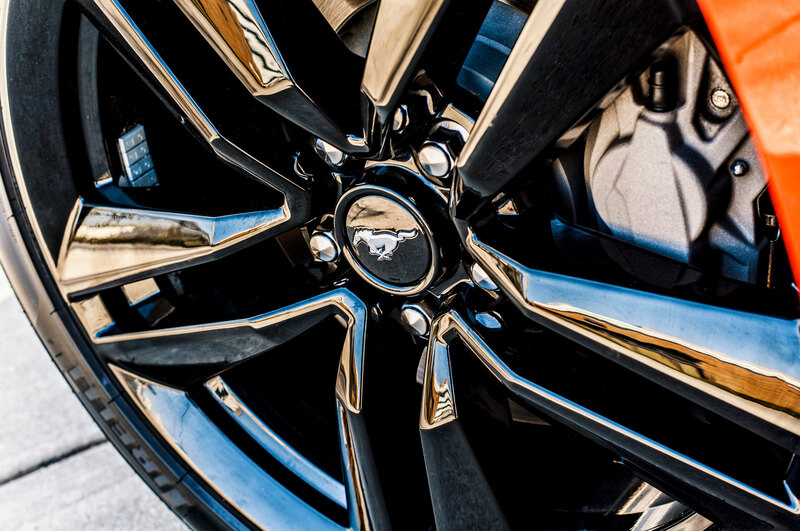 With the Mustang EcoBoost’s 19-inch Pirelli summer-performance tires on black wheels, heavy-duty brakes, and unique suspension tuning, the whole package is a must-have for anyone like us who has track-day aspirations. 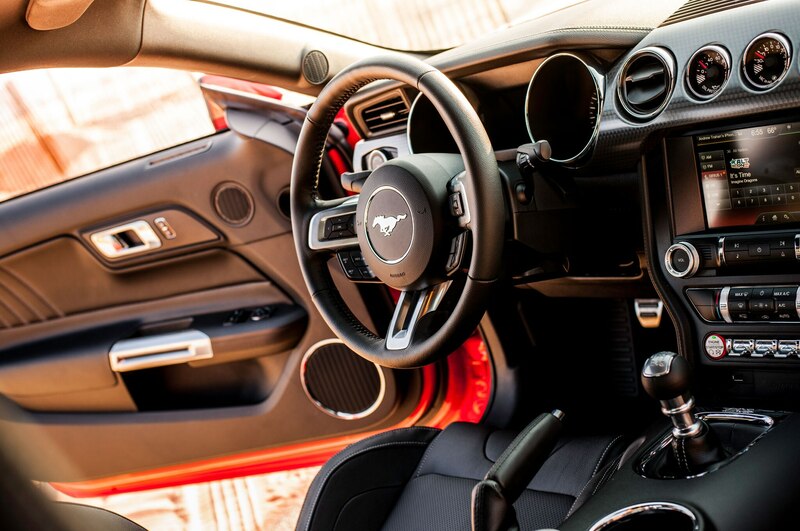 But as much as the Mustang is about great driving, it’s always been about driving in style as well. 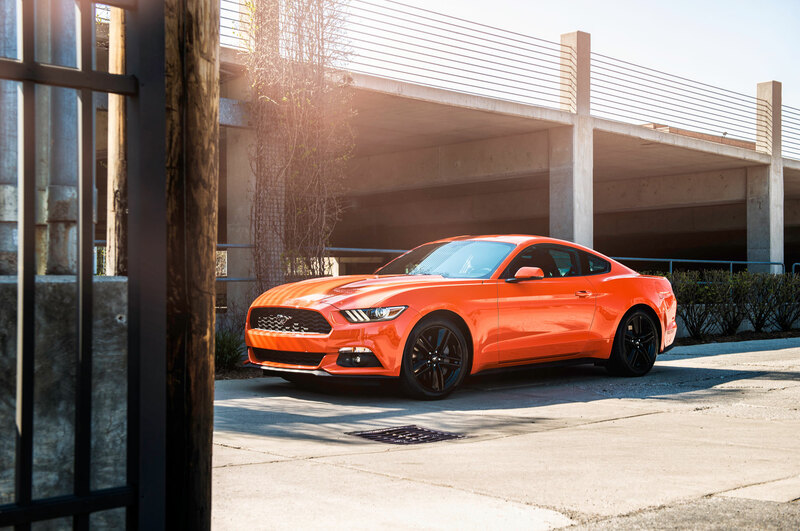 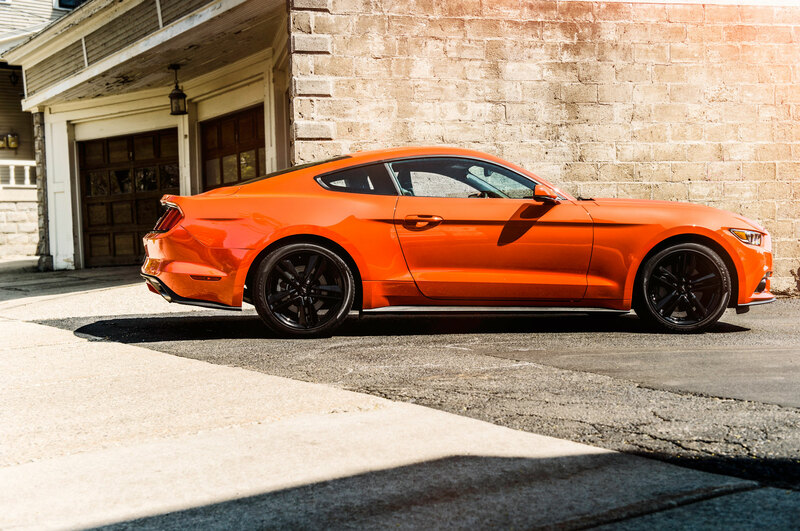 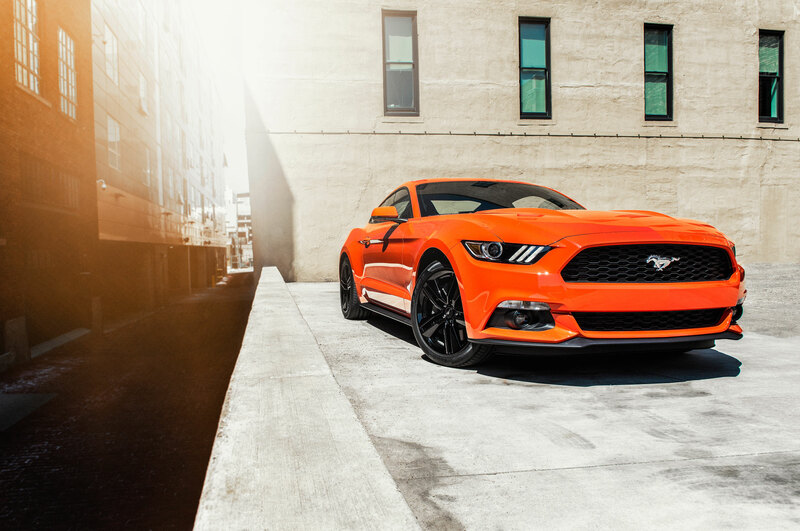 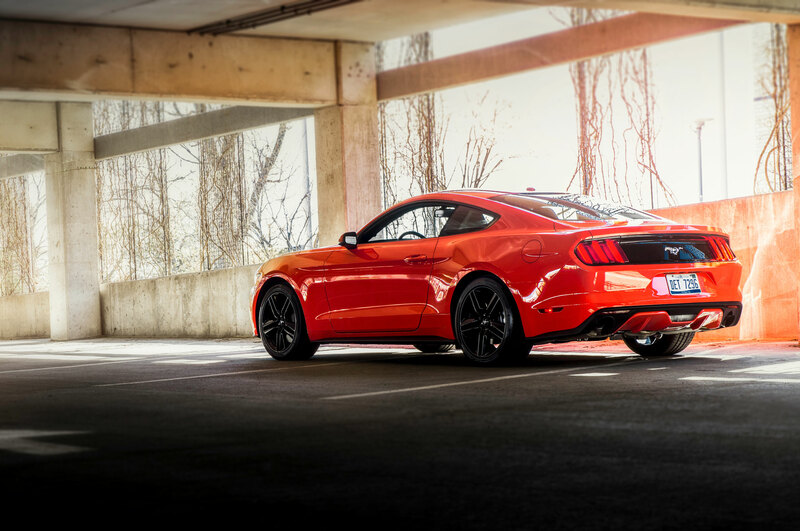 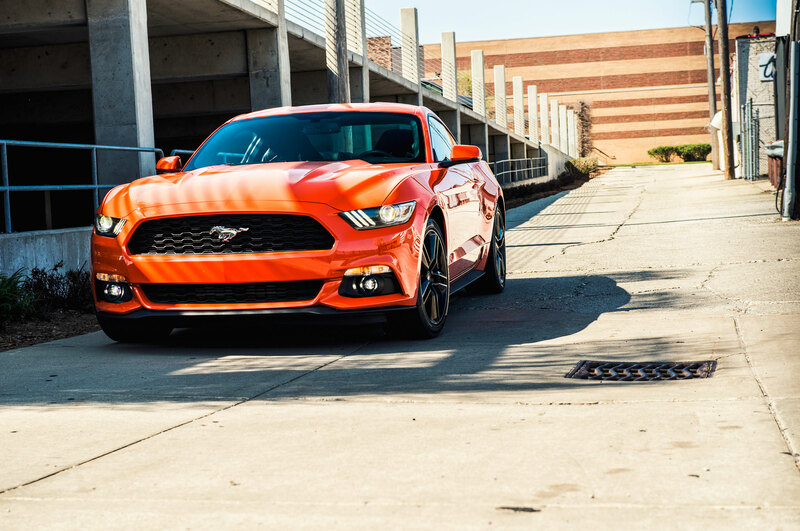 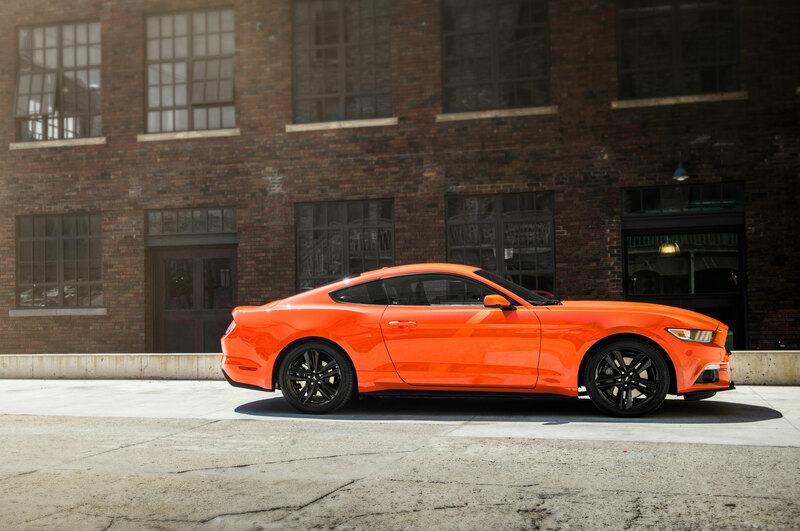 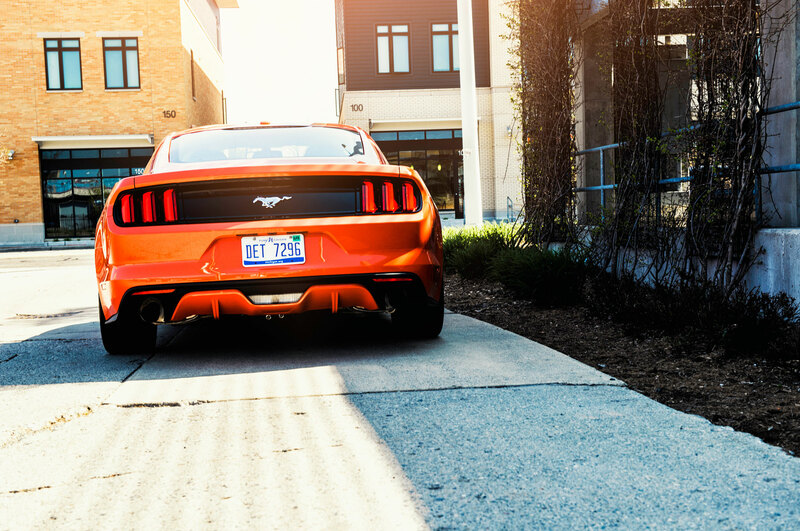 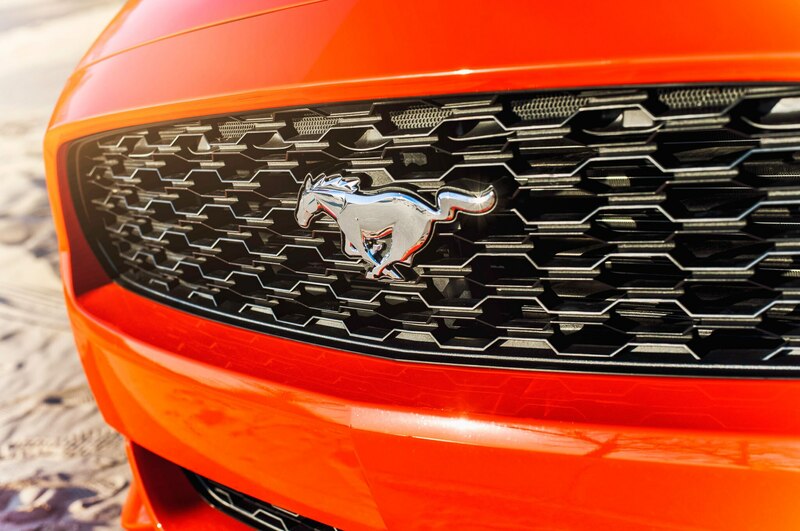 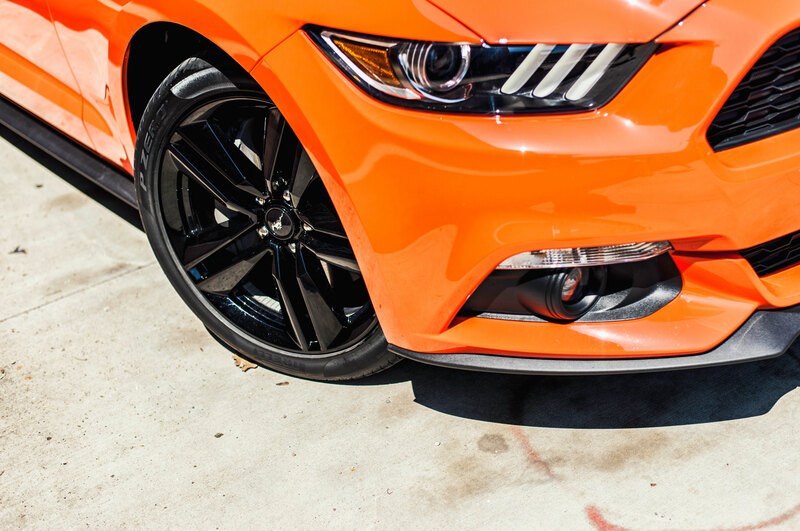 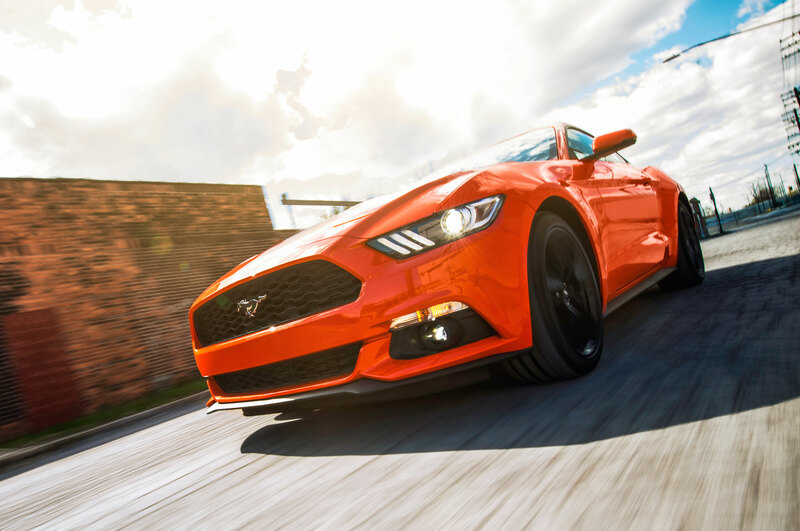 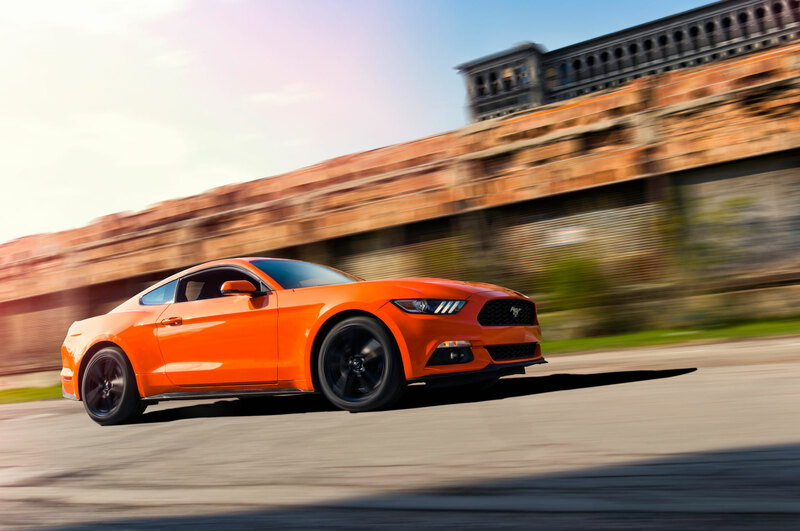 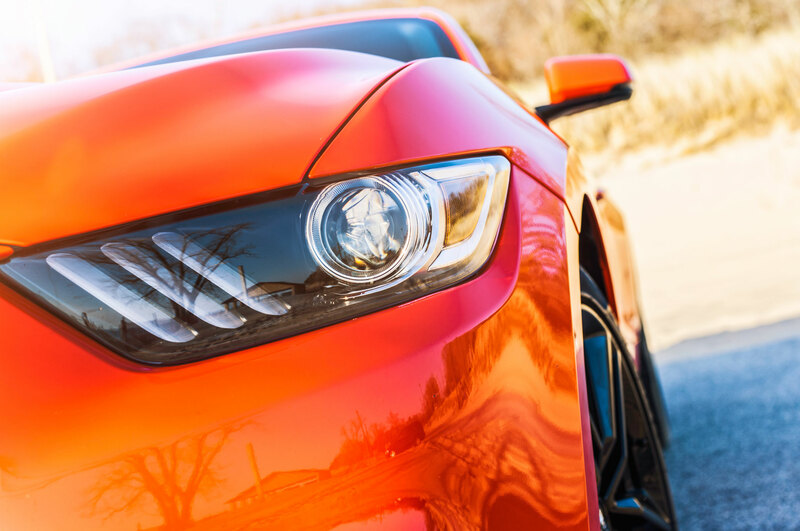 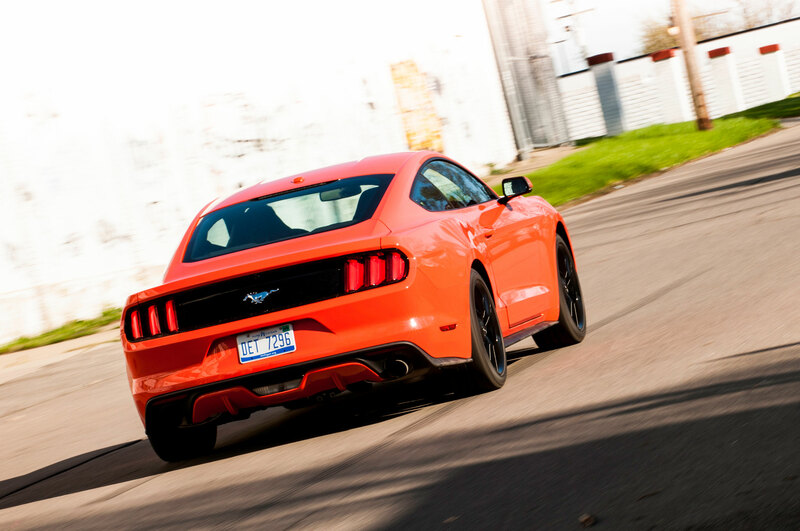 As such, we couldn’t help but snag a Mustang in striking Competition Orange. 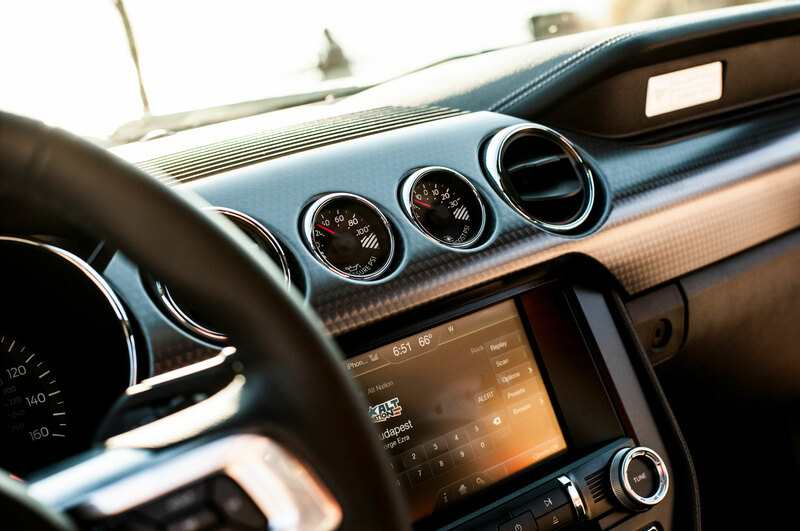 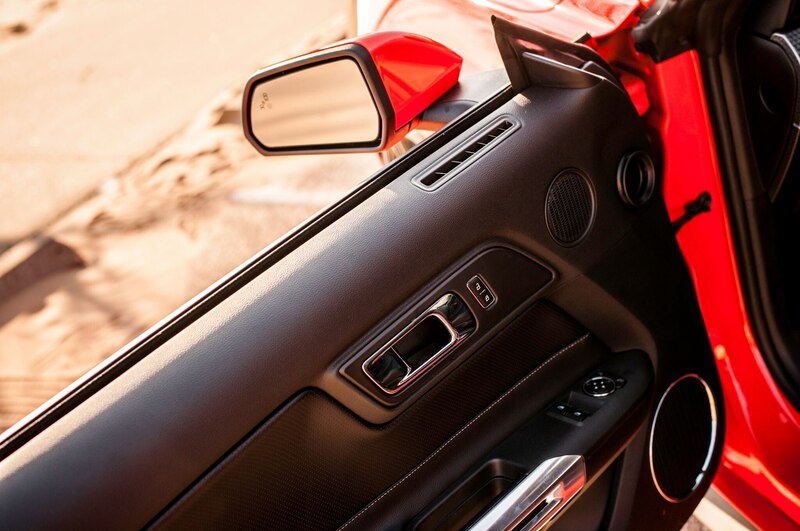 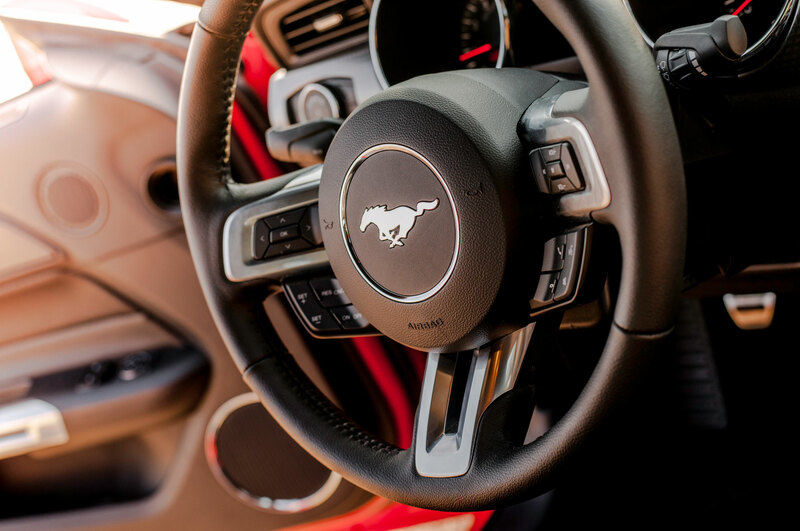 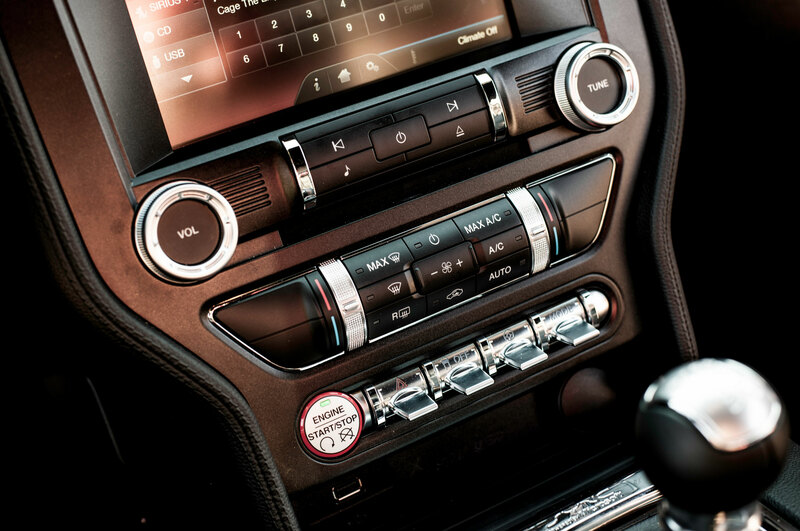 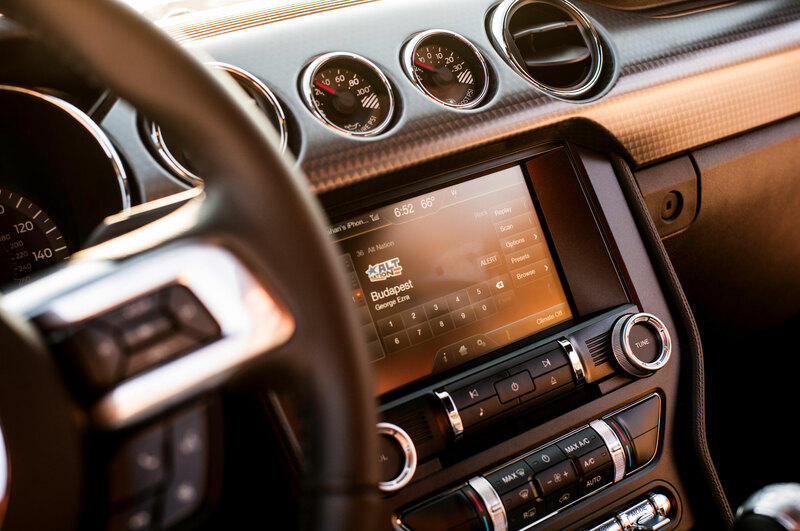 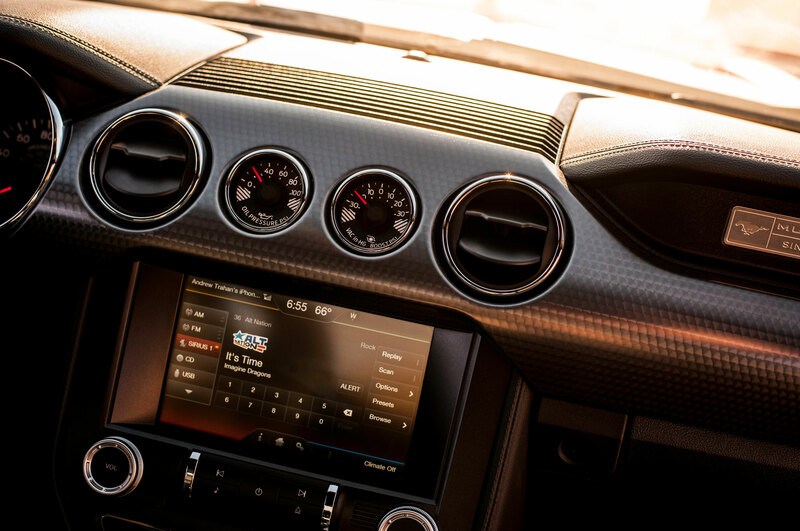 And in Premium trim, our Four Seasons 2015 Ford Mustang EcoBoost also comes with satellite radio, the MyFord Touch interface with SYNC voice control, blind-spot monitoring, and a 12-speaker Shaker Pro audio unit. 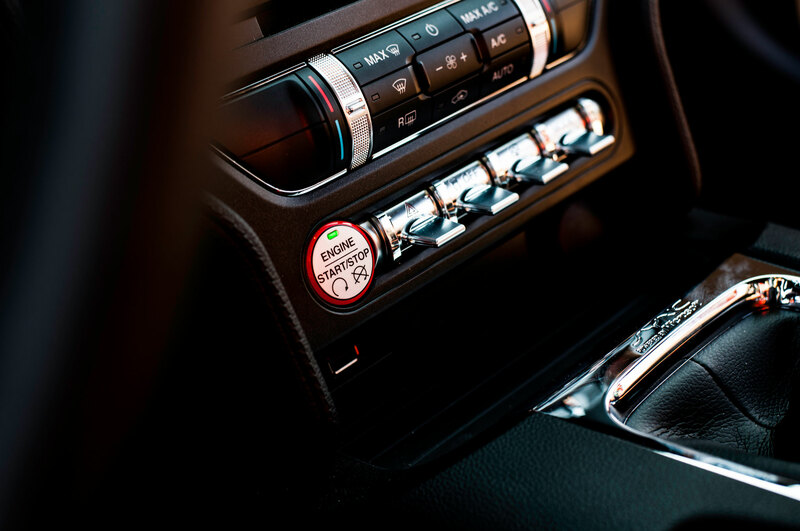 Navigation tacks on an additional $795. 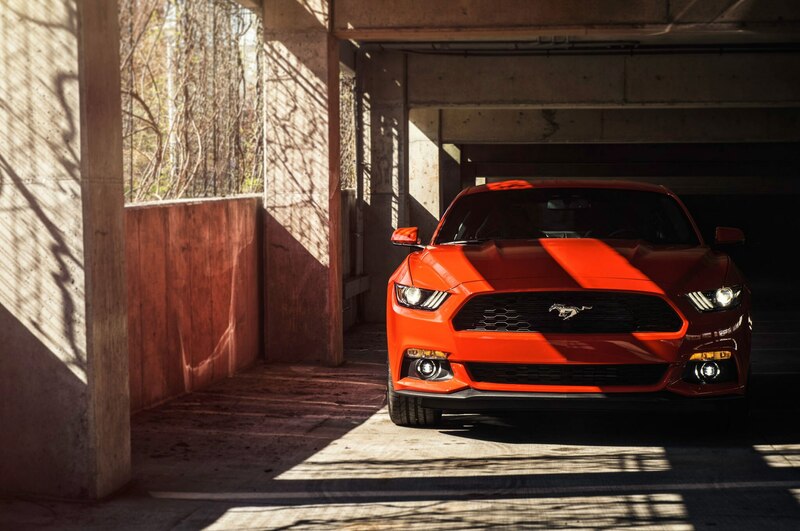 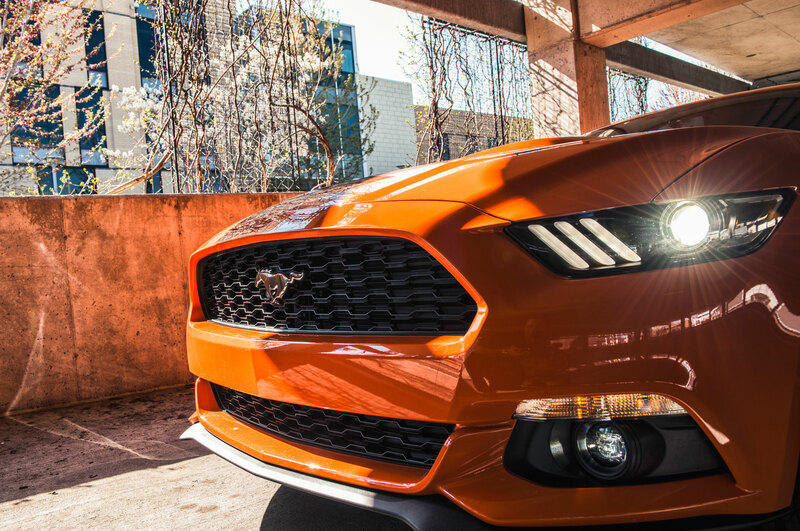 Will the 2015 Ford Mustang’s great looks, tight handling, generous torque, and respectable fuel economy be enough to keep us smiling in our daydreams of antisocial behavior? 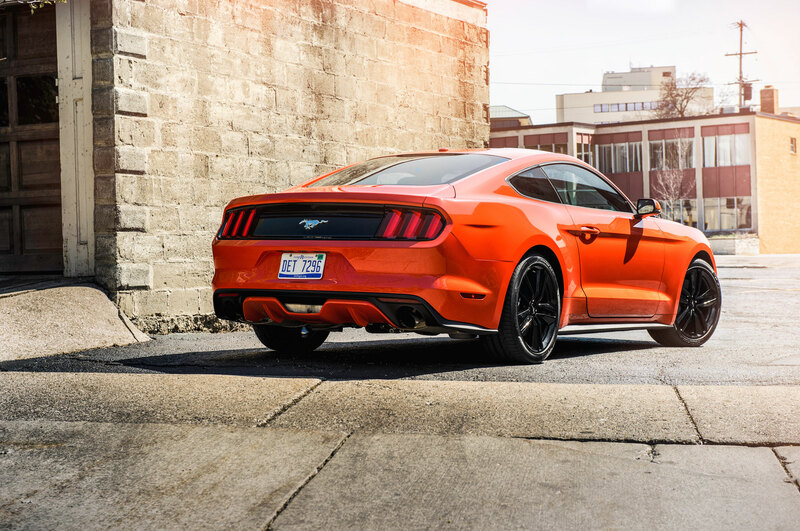 Or will we be jarred awake in a cold sweat, pedal to the mat, stretching our right leg and straining our ears for 5.0 liters of American muscle that’s just not there? 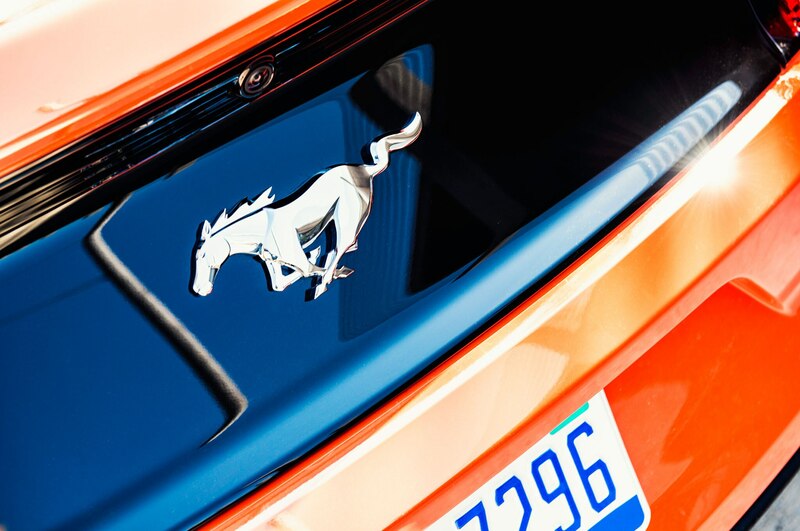 We have 12 months from Woodward to Mulholland to find out if the 2015 Ford Mustang EcoBoost has the heart of a thoroughbred or just belongs in the glue factory.